Jordan Brand and Aleali May is releasing a brand new “Viotech” iteration that nods to Air Jordan 1 silhouette accompanied by the “Millennial Pink” Air Jordan 6 pair. 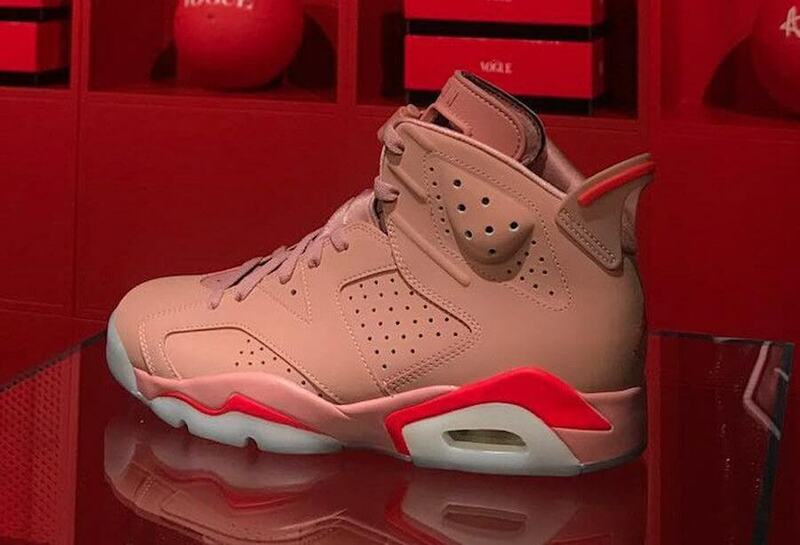 Talking about this upcoming Air Jordan 6, the shoe basically features a Rust Pink and Bright Crimson color scheme. Aleali May debuted this particular sneaker way back in 2017 and the kick comes covered in a light shade of Pink wrapping its whole upper. At last, completing the entire design altogether are the Crimson accents and a translucent outsole. Check out an image below and you can purchase a pair for yourself at any select Jordan Brand retailers during the month of March 2019.